Nintendo Game Boy Throw Blanket - Moar Stuff - You don't need it but you know you want it. 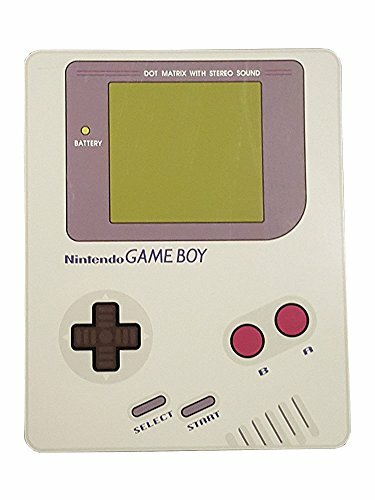 This Nintendo Game Boy Throw Blanket (via Amazon) is perfect for covering yourself up while gaming on cold winter nights. Made of 100% polyester, this blanket measures 48 by 60 inches and looks like the classic 90’s Game Boy handheld game. It’s plushy and super soft so as to not break your concentration while trying to beat that boss that’s kept you up all night. Also, when you do finally beat him, it will keep you nice and warm for your well-deserved victory nap. Oh, if you’re more of a 2000’s kid, there’s also the Game Boy Color Throw Blanket. It offers the same features but looks like a blue Game Boy Color handheld. Dimensions: 48 x 60 inches (122 x 152.5 cm). Weight: 1 pounds (454 g).